Butterfield Gulch Gang of Kansas - Cowboy Action Shooting! We are the Butterfield Gulch Gang, and we're a group that does live shooting competitions. 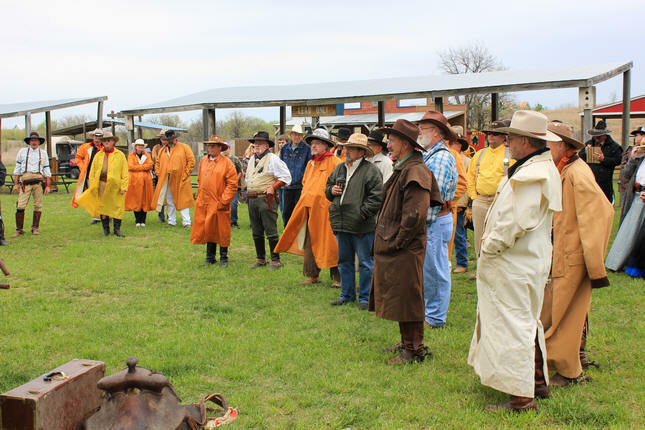 We're all quite concerned with safety, and our events are highly entertaining, taking place at an amazing site themed to the old west. Quite a few Cowboy Action Shooting (CAS) enthusiasts cultivate a unique persona or character. I should probably say most shooters do. Also, from some of the aliases I've seen at our matches and on other CAS web sites, imagination runs rampant in the minds of our groups. Many also strive for authenticity in the types of firearms they use in our sport. You'll see dozens of different kinds and calibers of guns at our CAS events. Some use smokeless powder, some cap and ball, and some use black powder. Costuming plays a big part in our sport as well. I've seen everything from the most gosh-awful outfits, to the most beautifully re-created clothing. The men's outfits range from the typical ranch hand of the late 1800's to town folk, to quite a few outfits I've seen depicting Union or Confederate soldiers in amazing detail. The ladies are not to be outdone... They appear as soiled doves or saloon girls or prissy town ladies. At the social events held in conjunction with many of the shoots, the ladies really shine in their magnificent outfits. 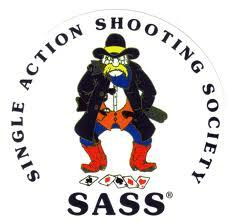 There's quite a great bunch of folks that we associate with in our shooting sport. Let's not forget the youthful members who participate in our game! I'm quite sure that in some big cities back in the "civilized" part of our country, the sight of a teenager with a gun would be cause for terror. Not so with our CAS events. Our kids are safe gun handlers, well-mannered, and a source of pride not only to their parents, but to all of us who have the pleasure of their company. There isn't a "junior" shooter, boy or girl, who I wouldn't want on my posse. "What's the matter with kids today?" Not a darned thing that a little fun at a CAS match wouldn't cure.